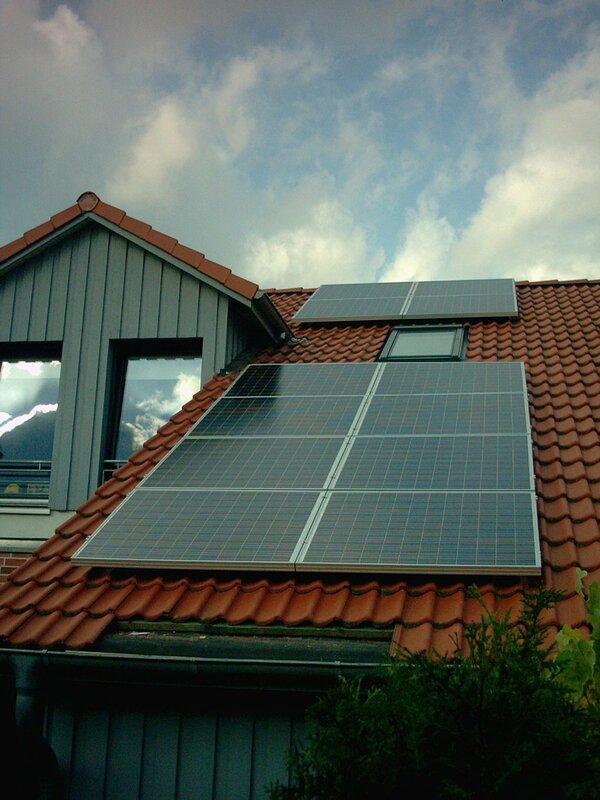 Today, the last solar modules were mounted, and we started with the wiring. There’s a total of 20 solar modules, divided up into 5 groups – i.e. four modules are connected in a row, and form a ‘string’, which are two cables individually connected to the DC/AC step-up converter. That’s a lot of wires, which had to be squeezed beneath roofing tiles, glass wool, and other obstacles.